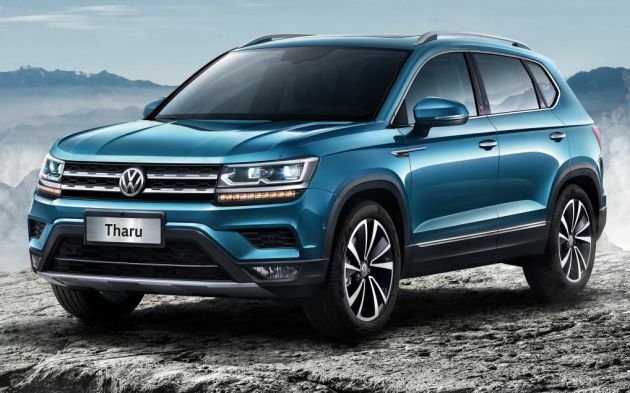 Volkswagen has announced the addition of three new SUVs to its China model portfolio – the Tayron, Tharu and T-Roc joins the currently available Touareg, Tiguan and Teramont to make it six SUV models in that market’s current line-up. The Chinese version of the T-Roc has been on sale in China since summer. Built by FAW Volkswagen, the localised model has a wheelbase that is 85 mm longer than the European T-Roc. The Tayron and Tharu were officially introduced at the Guangzhou Auto Show. Both were teased in March this year during the premiere of the new Touareg in Beijing. The Tayron, which is built by FAW Volkswagen, was introduced in China at the end of October. 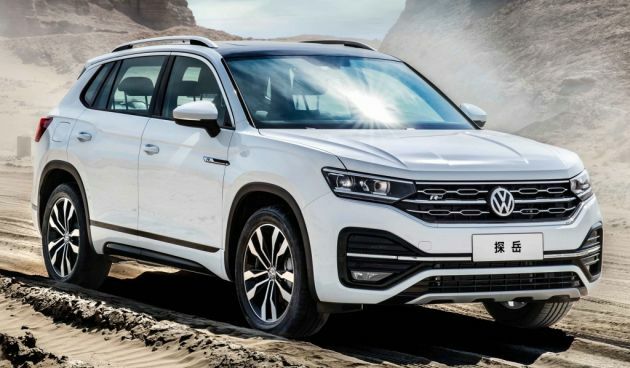 Sitting on the automaker’s MQB platform and derived from the Tiguan, the Tayron – which gets its name from a combination of the words ‘tiger’ and ‘iron’ – is targeted at China’s middle- to upper-class SUV market. The Tharu, meanwhile, is SAIC Volkswagen’s take on what a ‘powerful family SUV’ should be. Also underpinned by a MQB chassis, the Tharu measures in at 4,453 mm long, 1,841 mm wide and 1,632 mm tall, with a 2,680 mmm wheelbase, placing it in the compact class and in between the Tiguan and T-Roc in terms of size. The automaker says that with a luggage compartment of 455 litres, which can be increased to up to 1,542 litres with the rear seats are folded, the Tharu isn’t short of space. The SUV push is set to continue – three new models are due to be introduced next year, including a localised version of the recently-unveiled T-Cross sometime in the spring. By 2020, the automaker is aiming to have 12 SUV models on sale in China. can anyone tell me the different of all models above? In China they dont care. You give them Tairu or Cendol, they will take. As long as it has a VW logo on it.